Tarrytown, New York – August 13, 2009: The National Alliance for Thrombosis & Thrombophilia (NBCA) announced today the start of a new national program to raise awareness and to raise money for patient education and professional training on the signs, symptoms and prevention on blood clotting diseases. 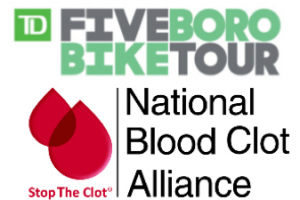 The program will recruit runners, walkers, cyclists, and tri-athletes to join NBCA in bringing its Stop The Clot® message to increased numbers of Americans. Roland Varga, a triathlete from Columbus, Ohio, created the idea of an awareness program as he ran in marathons and competed in triathlons. “I wore a Clot Buster shirt, covered with red polka dots,” explained Varga, “and got a lot of attention! I also gave out a lot of information. If I could do this, we could multiply by hundreds if we recruited others to work with us.” Known as “Clot Buster” to many friends and associates, Varga continues his goals of raising awareness and funds as he competes in events in the Midwest and other parts of the country. 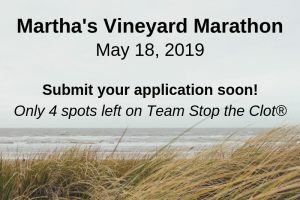 People interested in participating in a marathon, half marathon, 5k, walk, cycling event, ironman or triathlon event to support NBCA’s mission and programs are asked to contact NBCA 1.877. 4 NO CLOT or click here. 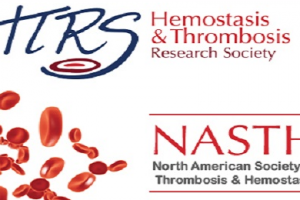 For more information please contact Judi Elkin atjelkin@stoptheclot.org. To set up your own personal event fund raising page, click here. Click here to view the fund raiser page.